Conscaff Pty Ltd, Scaffolding Sydney provide a wide range of scaffolding services to Sydney and the surrounding area, including the hiring and installation of aluminium and Kwikstage scaffolds. Conscaff Pty Ltd, Scaffolding Sydney have many years of experience in the scaffolding industry, servicing all customers within the Sydney area. From hiring scaffolds to free quotations, Conscaff Pty Ltd, Scaffolding Sydney has the expertise to assist you with all your scaffolding requirements. 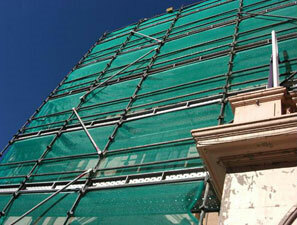 Why choose Scaffolding Sydney - Conscaff Pty Ltd? At Conscaff Pty Ltd, Scaffolding Sydney our focus is providing high quality and durable scaffolds at a competitive price to all of our customers. If you are looking for professional and reliable scaffolding company at an affordable price, give Conscaff Pty Ltd, Scaffolding Sydney a call today. To request a free, no obligation quote please phone 0433 681 917.